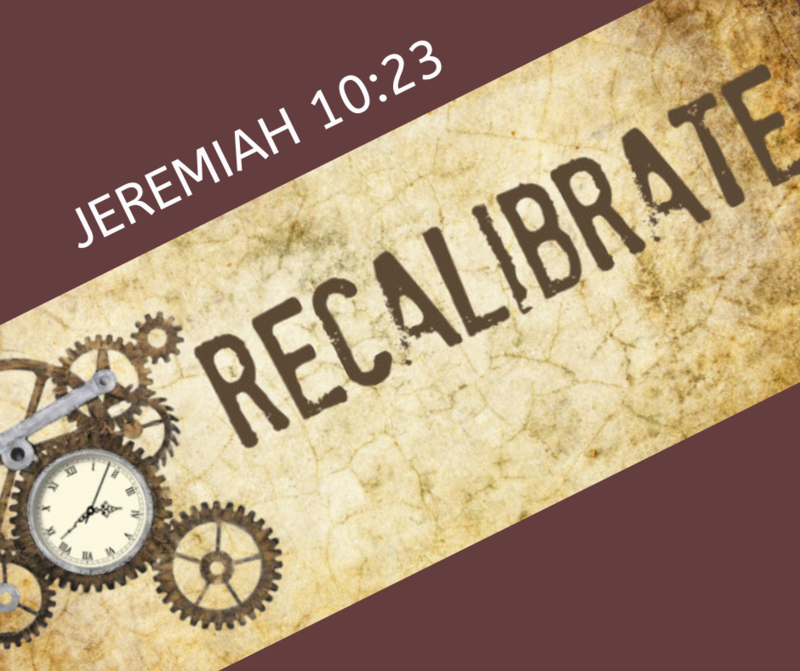 The word “recalibrate” has become quite familiar to all of us GPS users out there. Where would we be without them…literally? When we take a wrong turn, we rely on the GPS to recalibrate. If I didn’t have the GPS I’d have gotten lost so many times! I still remember the days when my dad would pull over and dig out the map from the glove compartment of our station wagon. Those days are long gone. Now we just wait for our GPS to figure out a way to get us back on track. Recalibrate means to calibrate again, to get back on course again. If you’ve gotten off course, no worries, you have the Guide inside. The Holy Spirit will recalibrate within you. He will prompt you to make a simple course correction. Jeremiah 10:23 says “it’s not in any of us to direct our own steps. In life, we need to recalibrate many, many times. God is okay with that. That’s why He gave us the Holy Spirit to recalibrate us as soon as we begin to make a wrong turn. He guides us to make a small course correction, that’s all we need. The sooner we yield to Him, the less recalibration we need on the path ahead. If you’ve gotten off course, listen to the Holy Spirit and just recalibrate. You’ll get to your destination. Trust your “God Positional System”. I was reading the other day about Weapons of Mass Destruction (WMD), such as chemical, biological, or nuclear weapons that can do significant harm and damage on a large scale. Mass means large, massive, profuse, overwhelming. But there’s something even more powerful and effective in the spiritual world called “weapon of mass instruction”. 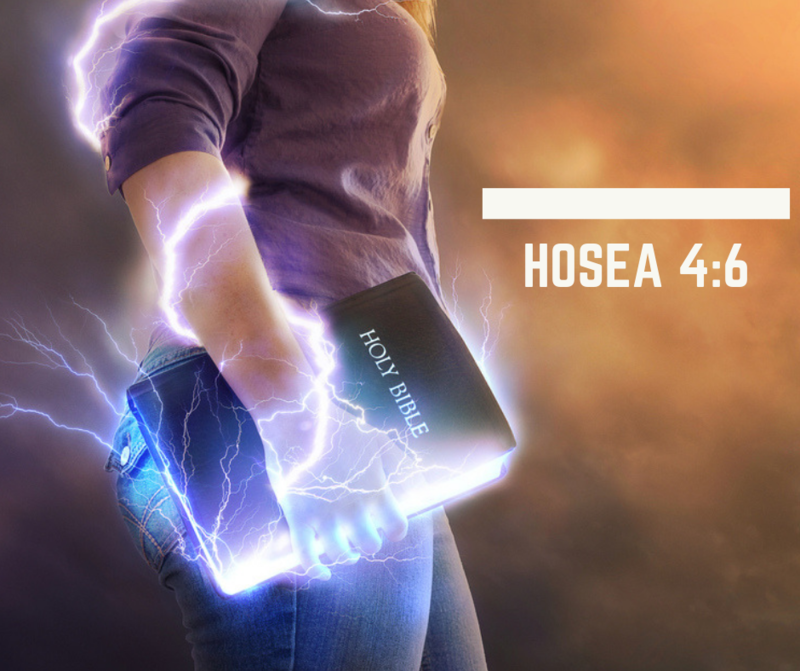 Hosea 4:6 says that God’s people are destroyed for a lack of one thing…knowledge. Knowledge of God’s Word is the most powerful and destructive weapon in the spiritual realm. That’s precisely why the enemy will do anything and everything to try and stop you from gaining revelation knowledge. Mark 4:15 says that Satan comes immediately to steal the Word. Why? Because he knows it’s a weapon of mass, large, huge, effective proportions. 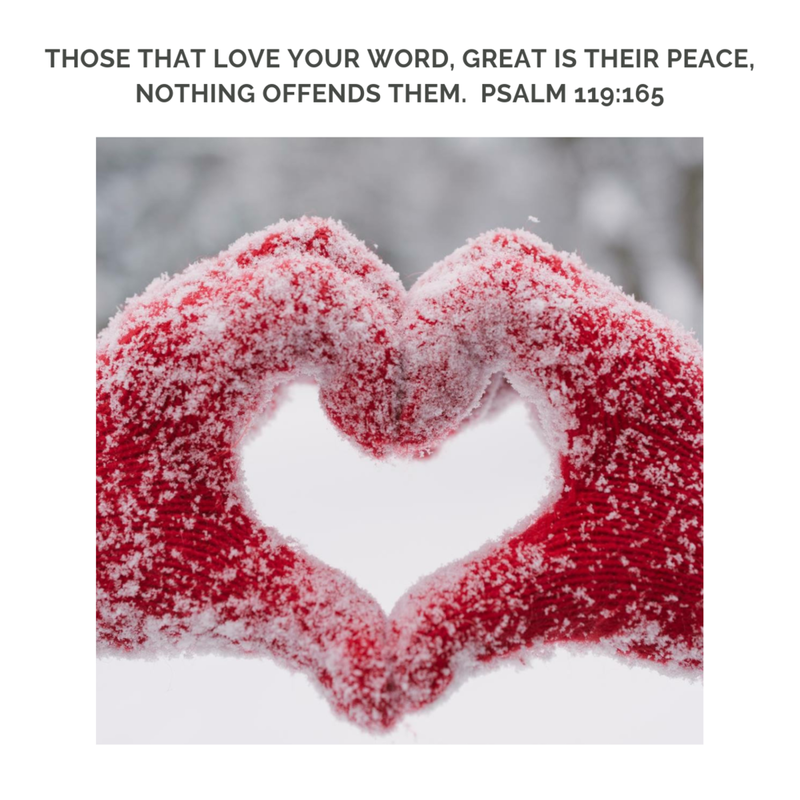 God’s Word is the only offensive weapon that we have. It destroys every work of the enemy. It tears down strongholds of thoughts. It is sent to heal cancers. With it you rebuke every attack. God’s Word is a weapon of mass instruction that will cause you to win in every battle, in every contest, in every challenge. So the answer to any destruction or problem is instruction, the knowledge of God’s Word. Make a decision this year to give God’s Word first place and final authority in every area of your life. Then watch the supernatural changes manifest as never before. On October 14, 1947, Chuck Yeager, an Air Force pilot flew an experimental plane 40,000 feet over the Mohave desert, becoming the first man to break the sound barrier. As he tells it, his jet nicknamed “Glamorous Glennis“ named after his wife was ready to fly into the “Ugh-known”. Just days before, he had a “disagreement” with a horse and broke two ribs, and was flying in a lot of pain. As he got to the point of the sound barrier, which no one had ever gone before, the jet began to shake violently. At that moment Yeager had to make a key decision, to slow down and abort the mission or to throttle down and go. He throttled down and broke through the sound barrier and experienced what is called a sonic boom. That’s what Abraham had to do. He had to make a key decision in a moment of time. He had to either go back or go “into the ugh-known” where he had never been before. He decided to throttle down and “boom” he received his inheritance. If we’re going to break through barriers in our lives in 2019 and beyond, we need to throttle down and go. We may be in a whole lot of pain. We may be shaking violently on the inside. We may feel like quitting. Perfect, you’re ready for your breakthrough. Press through and get ready for your boom! Something happened to me in 2018 that changed my life forever...I came to my breaking point. I had been living by the Old Testament (all about what I do) and New Testament (all about what Jesus did) at the same time. I was putting old wine into new wineskins. I was constantly frustrated. Something had to give..."New wine calls for new wineskins". Then it happened, I turned in my old wineskin of self-effort and sin consciousness for a new wineskin - the pure, unforced rhythms of God's goodness and grace. A life where the Word is more real than my senses. A life of faith in the finished work of the cross. As you enter into 2019, consider these powerful words, "Are you tired? Worn out? Burned out on religion? Come to me. Get away with me and you’ll recover your life. I’ll show you how to take a real rest. Walk with me and work with me-watch how I do it. Learn the unforced rhythms of grace. I won’t lay anything heavy or ill-fitting on you. Keep company with me and you’ll learn to live freely and lightly.” (Matthew 11:28-30 The Message). After all, “no one puts new wine into old wineskins”. 2 Peter 3:18 “But grow in grace, and in the knowledge of our Lord and Savior Jesus Christ. To Him be glory both now and forever, Amen”. As children head back to school, they may notice certain classmates that grew several inches over the summer. They experienced a “growth spirt”, they grew faster than others at an exponential rate. Interestingly, a lot of growth happens at night during sleep. Secretions of human growth hormone peak throughout the night. In fact, it is recommended that children ages 6-13 sleep at least 11 hours a night. REST CAUSES GROWTH! The more we rest, the more we grow. In what? Grace. And what else? In 2 Peter 3:18 it mentions another important component to growing in grace…the knowledge of our Lord Jesus. We grow in grace when we receive more knowledge. Not just any knowledge, but knowledge of Jesus. If you want more growth, study more about Jesus. Jesus is full of grace and truth. 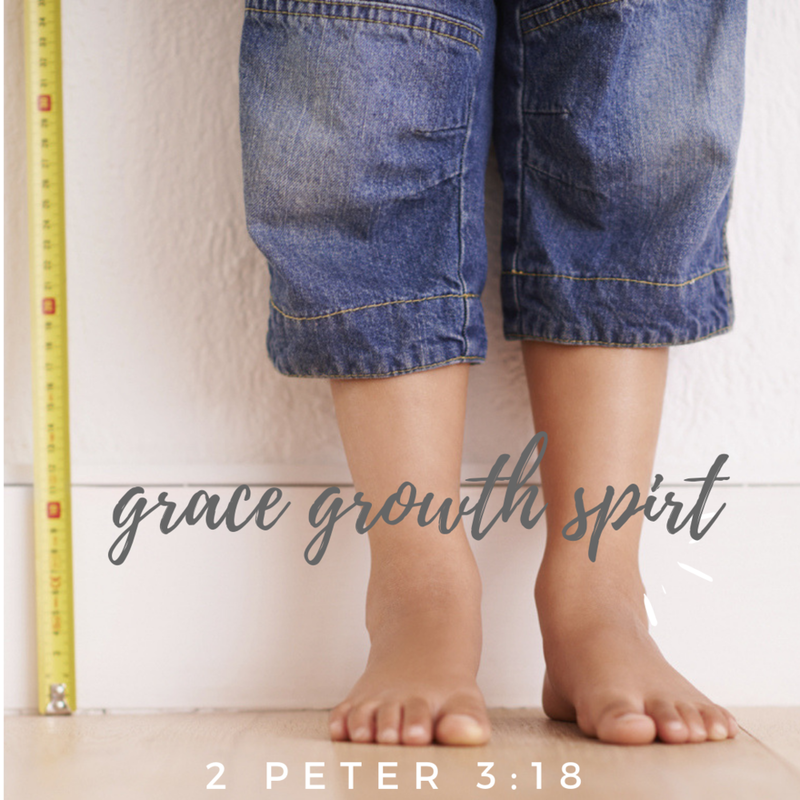 Get ready though, when you grow in your knowledge of Jesus, you will experience a “grace growth spirt”! Others will take notice that there’s something awesome happening in your life. You’re standing taller, you’re more confident, and happier, and at peace and rest. Grow! Grow! Grow! The phrase “R&R” is an abbreviation for rest and recuperation. It originated as a military term referring to the time members of the armed forces spend relaxing and resting away from the war or the battle. The military knows that for their forces to be effective and at their optimum, and to avoid burnout, they need R&R! I love the dictionary definition of R&R, it’s awesome. It means” relaxing when you’re not working”. So how does a believer enjoy this rest that verse 12 talks about? You need to go back to verse 11 which describes one of, if not the most important, grace gifts, speaking in tongues. “For with stammering lips and another tongue will He speak to this people”. This is so powerful. Many of you have been facing battles and you’re wondering “What should I do?” Here’s what you should do…get some R&R, praying and singing in the Spirit. Praying in your prayer language gives you rest and refreshing in the presence of your enemies. Raise your hand if you could use some R&R! If you feel tired and worn out, if you’re on edge with your emotions, or having trouble sleeping, get some R&R. Are you irritable? Frustrated? Anxious? All of the above? Take five. Take five minutes right now and pray in tongues. If you’ve never heard of speaking in tongues, or would like to know more about it, Pastor Joe has a free message for you called Speaking in Tongues. It will truly help you understand and receive this powerful gift. Receive this grace gift today and start enjoying an unlimited supply of R&R, anytime and anywhere. Many of you are familiar with the retail store called Bed, Bath and Beyond, great name, right? 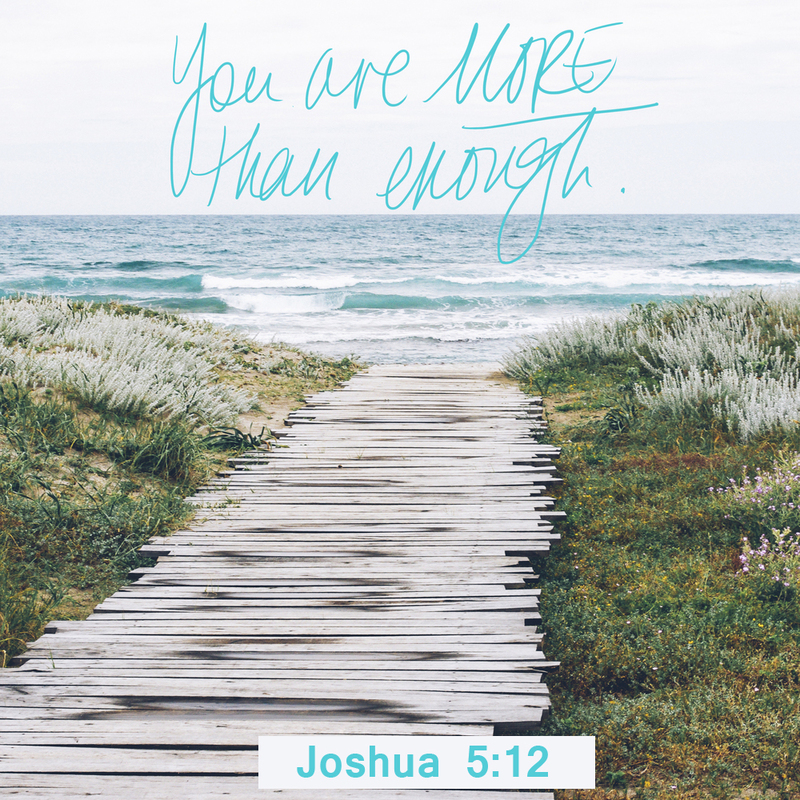 Great truth too…from John’s gospel, a bed, bath and beyond experience like no other! In John, chapter 5, there was a pool called Bethesda, meaning house of mercy. It was a public infirmary for the blind, weak, paralyzed and sickly. It was told that when the waters started to move in the pool, the sick person who could make it in the water first would be healed. One day, when Jesus was visiting this pool, He spoke to one of the sick folk and asked him a very important question “Do you want to be made whole?” This is a key factor in receiving a change in your situation, because we can get so used to our “condition” that we can’t even imagine what it would be like without it. Notice that Jesus didn’t ask, “Do you want to be healed?”, He asked, “Do you want to be made whole?” Why? Because He knew that sickness, poverty, depression and any other prolonged negative circumstance affects every area in a person’s life. It’s all they think about from morning until night. They’re not thinking about others, or a bright future or all the amazing opportunities available to them. It’s about survival. Jesus is saying, “I’m offering wholeness, not only physical health, but restoration in every area of your life that has been stolen”. In John 5:8, Jesus said three things. First, He said “rise”, meaning change your position, change the way you are thinking to the way He thinks, start to believe that this is not how it’s going to be forever, make the first move toward change by deciding in your mind to simply get up! He wants us to come to where He is, and not just ask Him to come to where you are. In John 17:24, Jesus prays for us to “be with Me where I am”. Next, He says, “take up thy bed”, meaning, you are NOT going back to that bed! Everyone that sees that bed in your hands will know that you’ve been delivered. Taking up your “bed” of affliction says that you are NOT the same, you are the victor and not the victim, and you are NOT going back. Lastly, He says “walk”, or live as the delivered, go “beyond” where you were, break through the barriers and limitations that have held you back, put one foot in front of the other! Open up that savings account and deposit 25 cents a week if you have to, enroll in one college course at a time until you get that degree. There is certainly nothing wrong with a gradual progression in a positive direction, there’s power in consistency. In Exodus 23, they took the land little by little. So, next time you see a Bed, Bath and Beyond store, think of these three commands, “Rise, take up thy bed, and walk!”…transformation God’s way!!! Michael Jackson and the Jackson 5 recorded a song in August, 1970 called I'll Be There. In his autobiography Moon Walk, Michael Jackson said I'll Be There was one of the most important songs that they had ever recorded. All Music said about the song "Rarely, if ever, had one so young, sung with so much authority and grace, with wisdom and understanding far beyond his years". It was the most successful single ever released by the Jackson 5. Well, 5 is the number of unmerited favor and grace in the Bible. In Judges 6:15-16, it's speaking about a young man named Gideon who God had chosen to deliver all of Israel. His response when he was called? 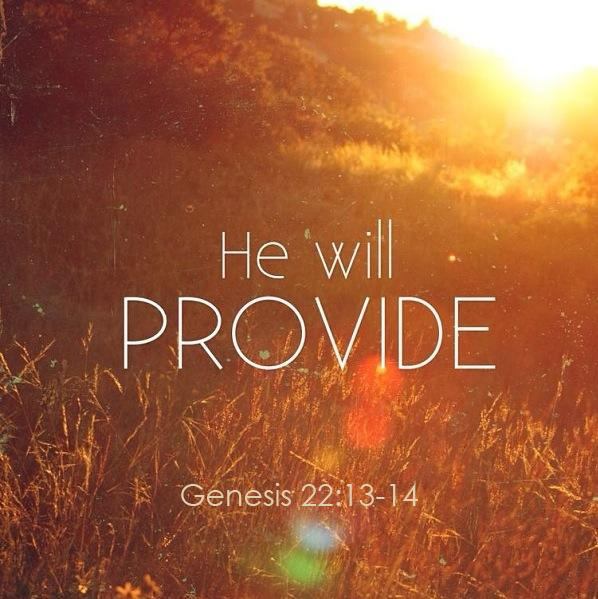 "My family is poor in Manasseh", and did you notice, Lord? "I'm the least in my father's house". You see, grace flows best when we feel the weakest, the smallest, the poorest, the least qualified. But in God's economy, He doesn’t "call the qualified", He "qualifies the called". God loves choosing the foolish things to confound the wisdom of the world. Him? Her? Are you serious? Great confidence rises up on the inside of you when you hear God say to you, "Surely, I will be with you". Whatever the task is, no matter how big the situation looks, if He called you, He has promised to "be there". He will never leave you or forsake you. Verse 17 goes on to say, "Lord, if I have found grace…" Grace is a person, and His name is Jesus, and He is in you. Grace is with you in the impossible situation you are facing, rely on Him. Hear Him saying to you this week, "I'll be there". Mathew 14:28,29 "Lord, if it's you, Peter replied, tell me to come to You on the water. 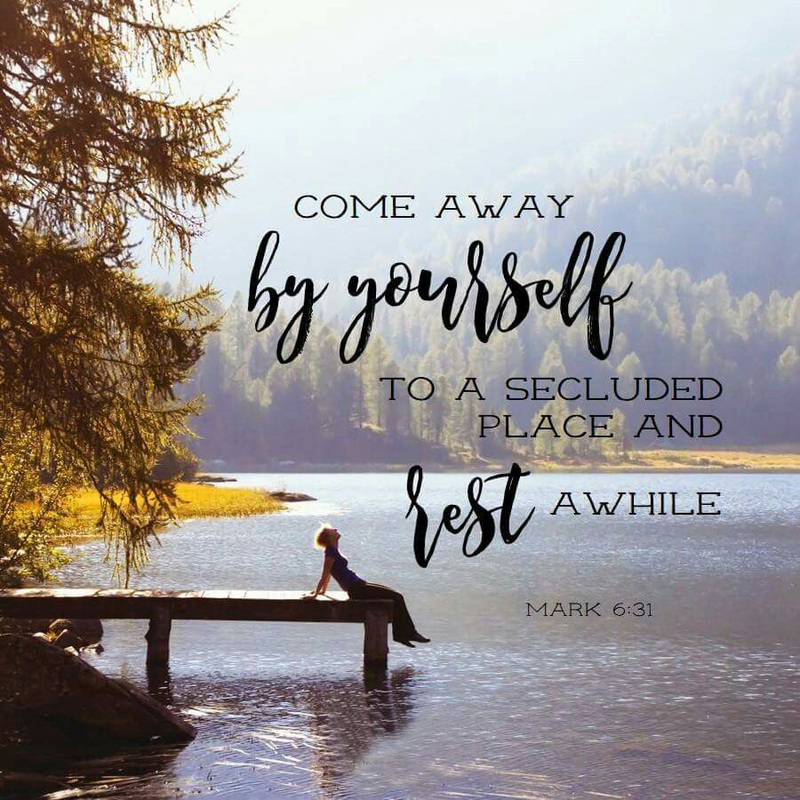 Come, He said, then Peter got down out of the boat, walked on the water and came toward Jesus"
Anybody feel like they're living life "out on a limb"? Taking risks? Living on the edge? That's great news. Why? Out on the limb is where the fruit is! In Mathew 14, the disciples were in a boat in the middle of a huge storm way off shore, and Jesus came toward them walking on the water. The first thing He said to them was "Don't be afraid, I'm here". Peter took one look at Jesus and said, "If that's really You, tell me to come". Did you know that there was really very little difference between being in the boat and getting out of the boat? A storm is a storm, no matter where you are. But to get to Jesus or to get to the supernatural, Peter had to make a decision to do something different than what everybody else was doing. Jesus said, "Come!" Peter stepped out of the boat and walked on water! In verse 30 it says that Peter took a look around and "began to sink". Technically speaking, he should have sunk as soon as he stepped on water. But not Peter. He was doing the miraculous, walking on the water, and only "began" to sink when he focused on the surrounding circumstances. If you "stay in the boat", you're never going to see the miracle of walking on the water. To see the supernatural you'll have to sometimes, well…no…most of the time, take a risk. Jesus said in Ephesians 3:30, "according to the power that works in us" . God wants us to participate in our own miracle. 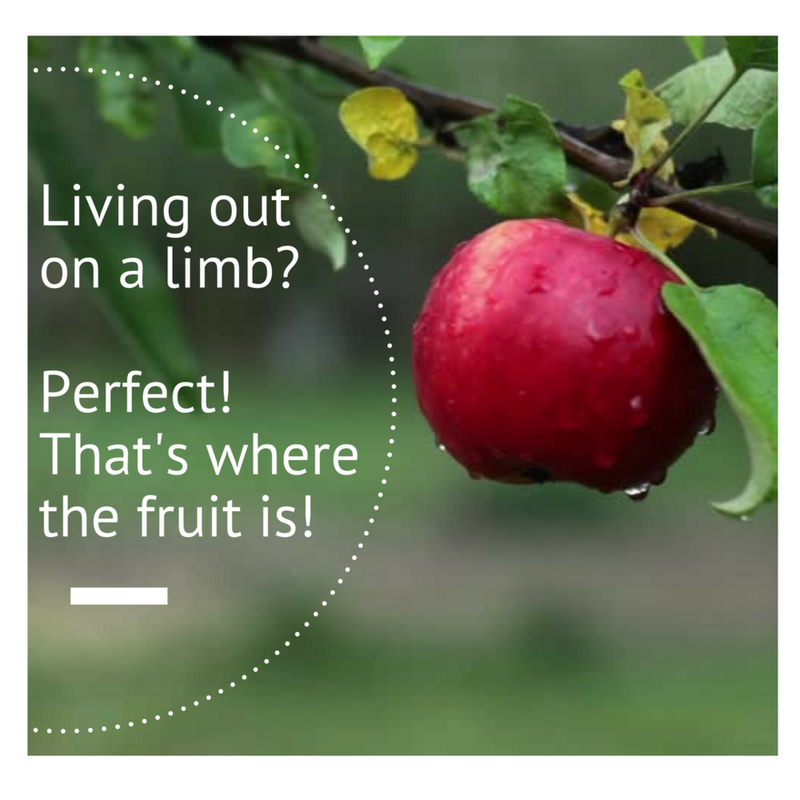 Come on, get out on the limb, walk in the supernatural, get out where the fruit is!! John 20:19-20 "Then the same day at evening, being the first day of the week, when the doors were shut where the disciples were assembled for fear of the Jews, came Jesus and stood in the midst, and said unto them, Peace be unto you. And when he had so said, he showed unto them his hands and his side. Then were the disciples glad, when they saw the Lord." Why were the doors shut? "For fear of the Jews". Fear will always try and shut you up, close you in, and restrict you in every way. It will try to stop you, keep you from moving forward, and from breaking free of all limitations. But be encouraged, fear did not stop Jesus when He found His disciples gathered together, behind closed doors, and it can't stop you. He came and stood in the midst of their fear. And what was the very first word the resurrected Jesus said to His frightened disciples? In our English bibles, it says "peace be with you", but our Lord would have spoken in Hebrew. He would have used the word shalom. Shalom is taken from the root word shalam, which means, “to be safe in mind, body, or estate.” It speaks of completeness, fullness, or a type of wholeness that encourages you to give back. "Peace be unto you. And when he had so said, he showed unto them his hands and his side." These were the receipts of His payment for their shalom, and of His guaranteed peace. Jesus paid the price for your shalom. You don't have to be full of worries and cares. For every fearful and threatening situation in your life, you can declare the same thing that Jesus said to His disciples, "shalom". Fear can't shut you up, unless you let it. So don't let it. Shalom. Isaiah 41:13 "For I the Lord thy God will hold thy hand, saying unto thee, Fear not; I will help thee"
It seems like yesterday that my whole family would gather around our TV in our basement every Sunday night to watch the Ed Sullivan show. Anyone with a TV set was doing the exact same thing, all across America. On one particular Sunday night in February of that year, a band from England rocked the nation with their new hit called I Wanna Hold Your Hand. The band…the Beatles. In Isaiah 41:13, the prophet Isaiah says "For I the Lord thy God will hold thy hand". How many of you know that a child holding on to a mother's hand is never as secure as when the mother holds the child's hand. I would always grab hold of my daughter's hand when she was young, when we were in a store or at some kind of event. I held her hand tighter and more secure than she held mine. I want you to encourage you, you're not holding on to God's hand, God is holding on to your hand, and He'll never let go. The verse says "I will hold your hand, fear not". When God holds your hand, there's nothing to be afraid of. Even when we are weak, His hand is strong. Hallelujah! Do you feel weak today? He's holding on to you. You might ask, "What about Psalm 51 where it says, "Take not your Holy Spirit from me"? 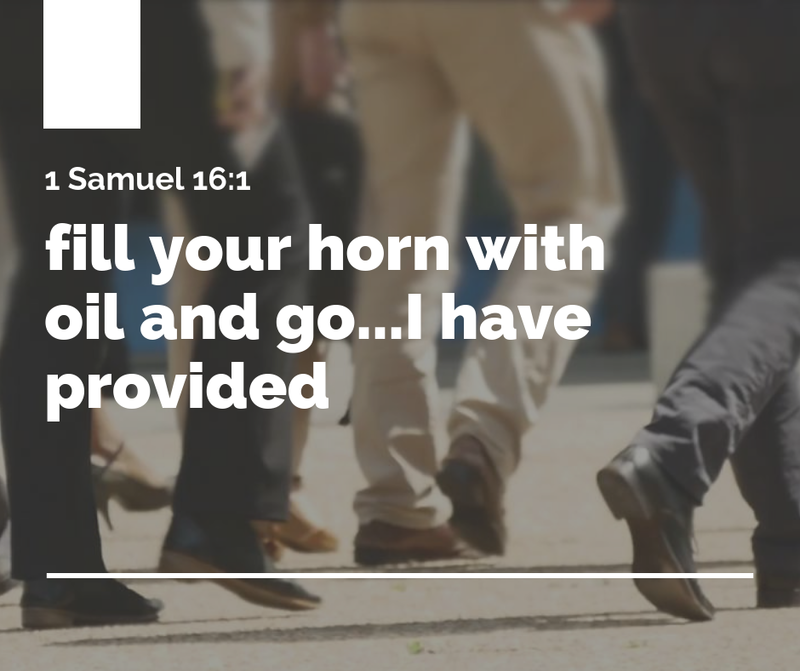 David prayed that because he was under a dispensation where the Holy Spirit would come upon you, and the Holy Spirit would go. As a born again believer, the Holy Spirit lives and abides in you, and will never leave you, ever, no matter what. That's good news for us today. Let that sink in. Rest and be secure in His love for you. He will never let go.